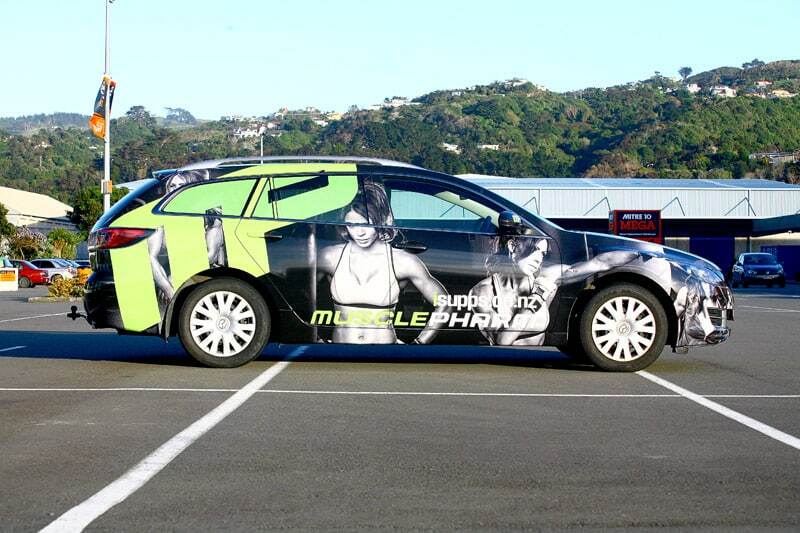 When it comes to vehicle wrapping or vehicle signage, there is no limit! 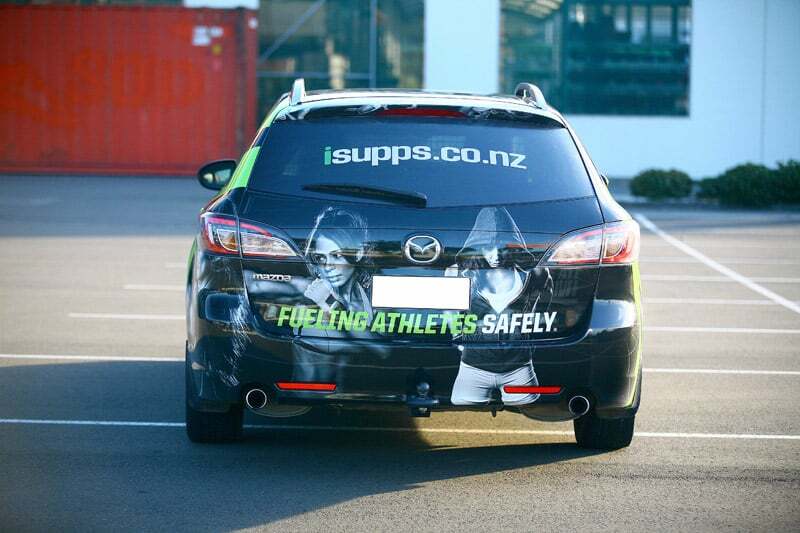 Meet James, owner of iSupps; a nation-wide supplement and vitamins store. 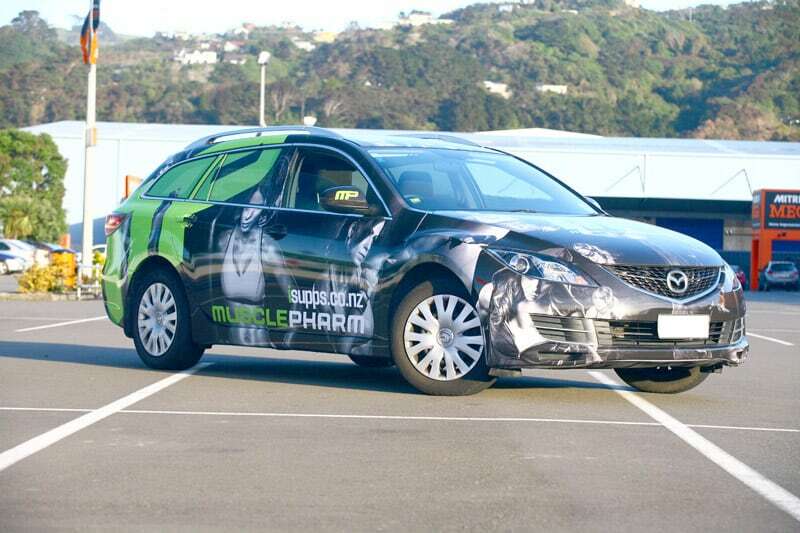 He had a vision of transforming this Mazda 6 into a mobile billboard. We turned that vision into a reality, creating a visual showcase of pure awesomeness. The detail in the final product is outstanding and will show the test of time. 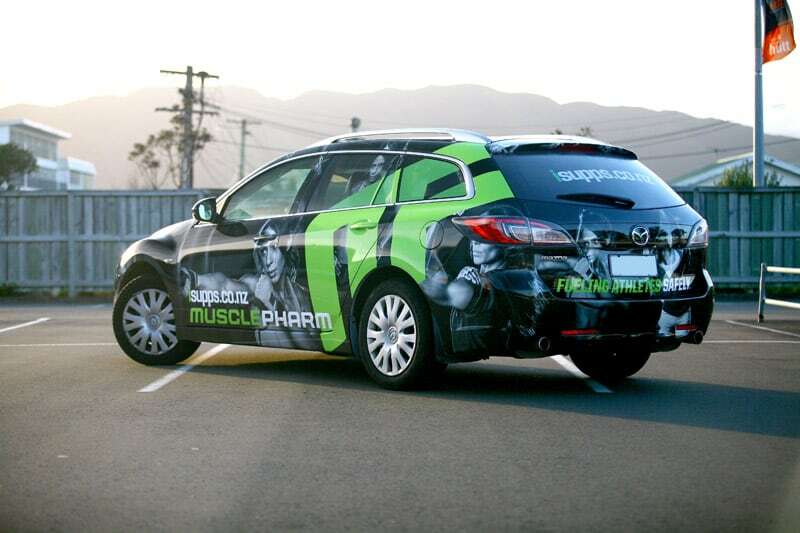 James called upon Muscle Pharm designer Andon from Denver, USA to put together his dream design. With the final visual nailed, we worked together to make sure what you see on screen will match the finished product. The only tricky aspect can be getting what you see as a 2D image, into a 3D masterpiece. 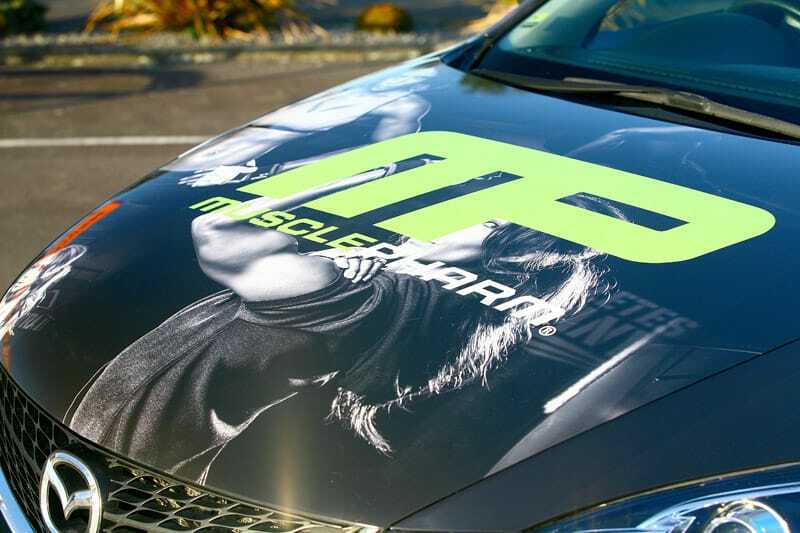 Once the color and details are confirmed, the wrap can be printed and laminated. 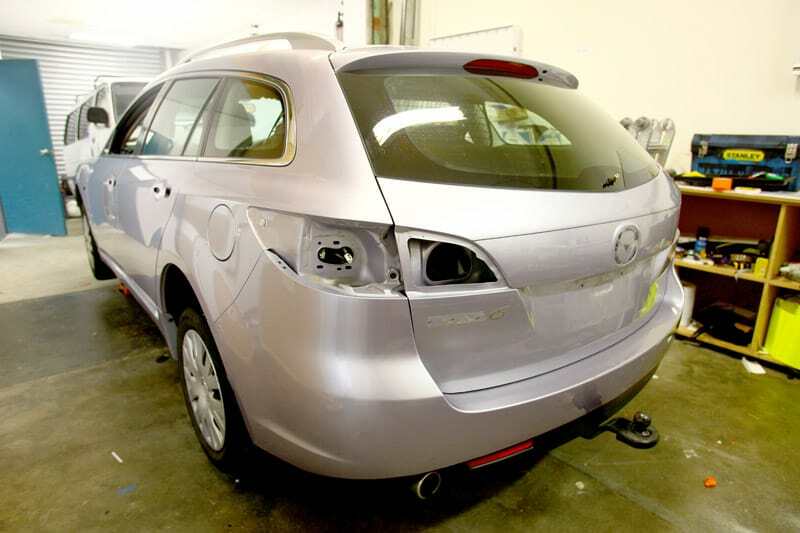 This process can stretch over a couple days to depending on the size of the wrap and cure times. 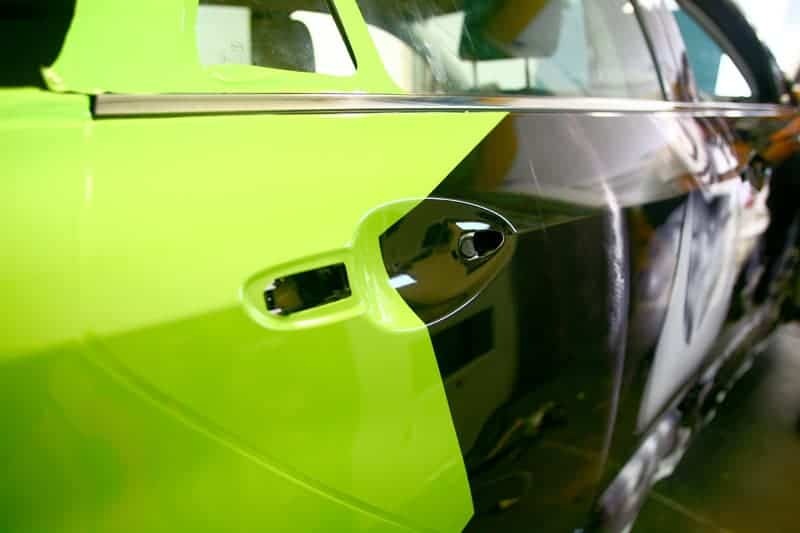 We used 3M IJ180C which is a premium cast film with a permanent, grey pigmented adhesive for excellent hiding power. It is ideal for long term fleet applications and is our preferred film. 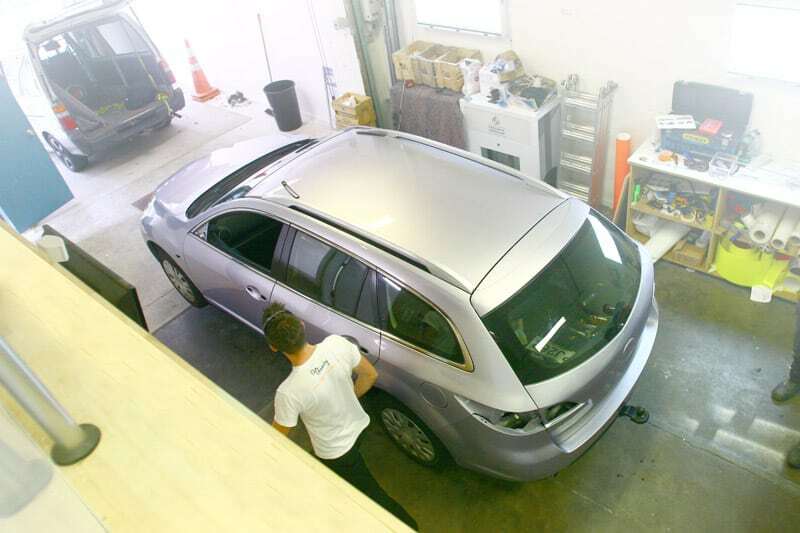 The printing process is done before the car makes its way into the workshop as we understand that having your car off the road can be a hassle. We will take every step possible to ensure a quick and speedy return. 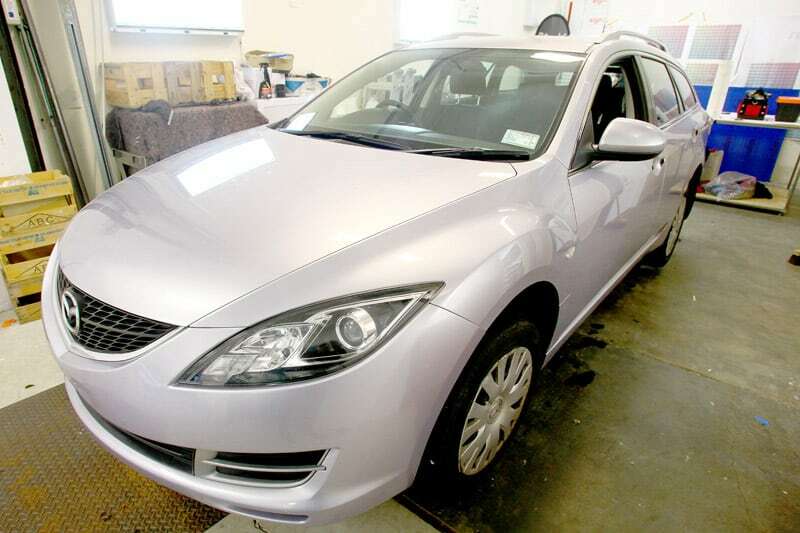 With the workshop clean and tidy the Mazda could be dropped off. First step is to wash the car with a mix of non-lotion detergent and water. 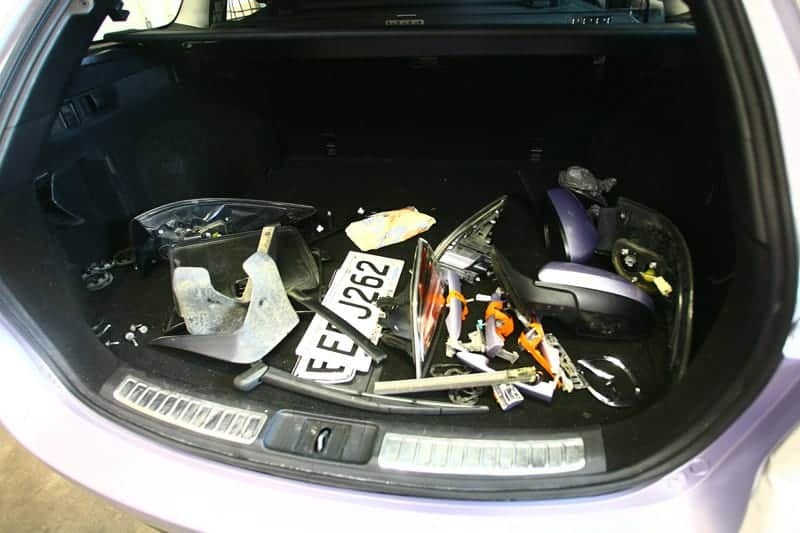 We remove the door handles, badges and lights. It is important to clean all hidden areas where the vinyl will be tucked or wrapped. We finish the cleaning process with an alcohol cleaner then lint-free towel. What you are left with is a clean car and a boot full of parts. 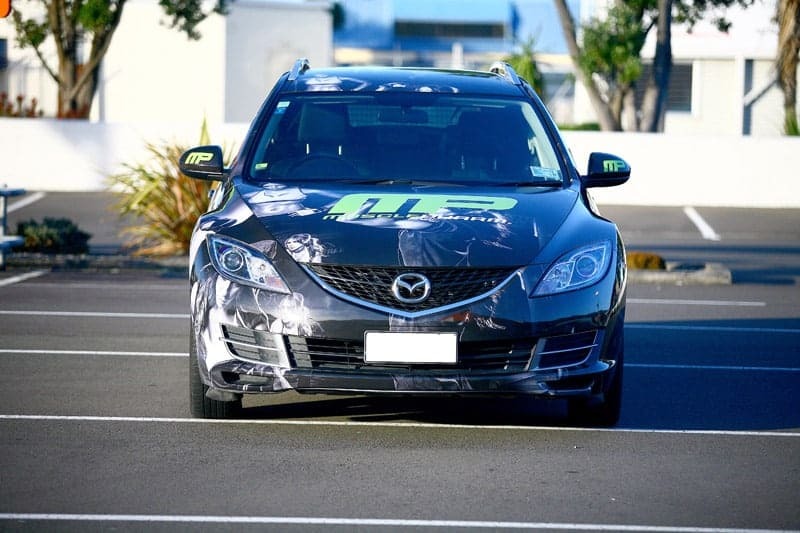 Before applying the graphics, we identify all areas on the vehicle that require knife-less tape. 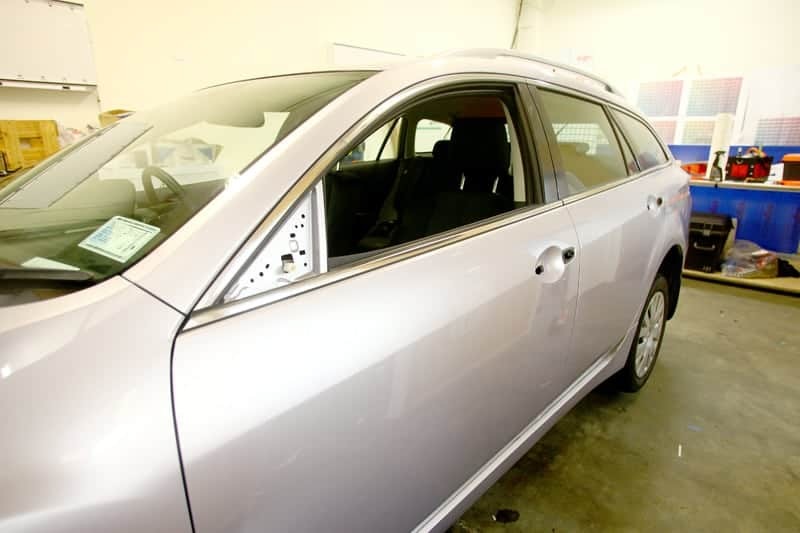 This process is critical because there is nothing worse then removing the wrap and finding a damage paint job. A 3M edge primer is also used on convex and outer edges of the curves. This helps seal the edges. The tools of choice are cotton gloves, a squeegee, heat gun and digital thermometer. The joys of printing up to 1550mm wide allows us to apply a full side in one piece and eliminates joins. 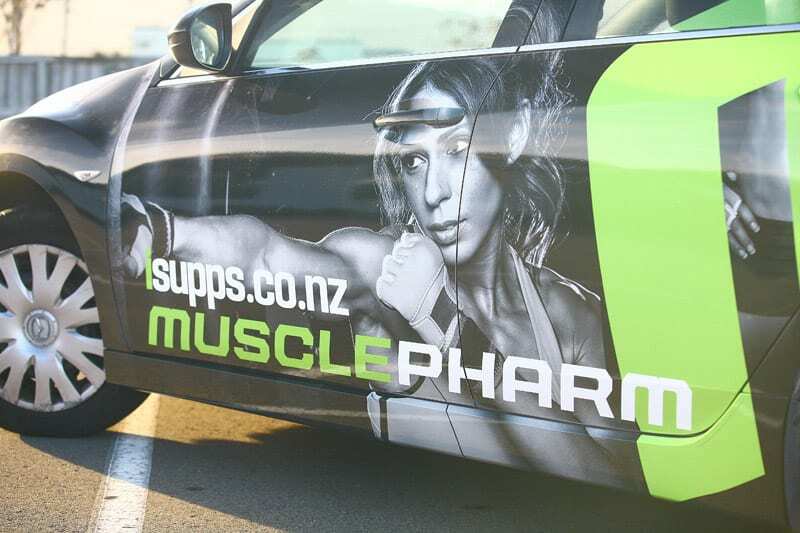 The side and rear windows are printed onto a perforated film, so that it is still possible for passengers to look outside (commercial vehicle). With the panels wrapped we can reinstall all fittings including the badges, door handles and lights. We then applied Meguiars natural shine protectant. This removes any lite scratches that in the film, and gives the wrap a glowing shine. The final step is quality control which looks over the workmanship and details. Once this is complete, it gets the Sign Foundry seal of approval. James arrived with a massive grin, and we understand why!